Great post AB! You totally nailed it. Under the leadership of the brethren we as a church have embraced evil in almost all of its forms. You nailed a bunch of them in this post. Sustaining and supporting wicked and corrupt politicians, allowing rampant sexual immorality into our midst in all of its forms, spending the Lord’s money on worldly pursuits, and on and on. I would suggest that the solution to the problem is not that the members need to wake up and sustain the brethren, but rather that the members need to wake up and STOP sustaining the brethren. We need to stop sustaining this wickedness. At this point the members are powerless to actually fix the church. The mess is too big. The corruption and wickedness has run, too deep. Only the Lord can fix it now, or replace it as HE sees fit. We as members have a tough choice to make. Do we continue to sustain the leadership, knowing full well that the church is full of corruption and they are a big reason why? Or do we stop sustaining them and wait on the Lord to fix things? It’s tough. Personally I don’t see what can be gained by continuing to sustain them when we know better. I guess we all have to decide that for ourselves. Great point MC! I should have better clarified that IF we were actually sustaining the brethren rather than blindly agreeing to all they do, perhaps the mess would not be so big. Sustaining, as you point out, is to NOT agree when we see they are wrong. Well said! It’s a shame the remnant-leaning types have still retained the suffocating LDS traits of taking themselves too seriously and having the inability to laugh at themselves. 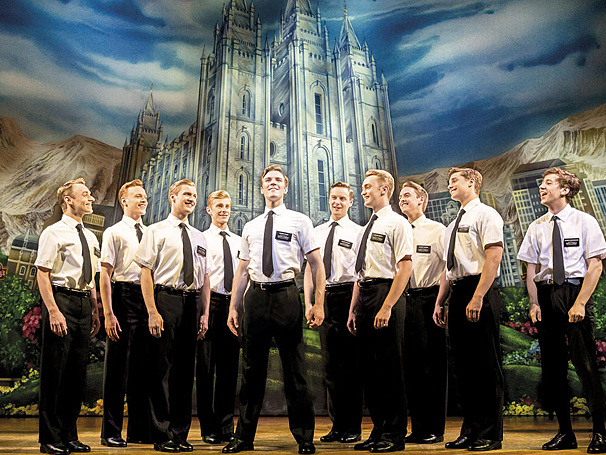 I would love to see the BoM musical with beer in hand. The church leaders have utterly lost the ability to discern good from evil. They are no different from Hollywood at this point, focused on the pretense of virtue and never saying bad things as the quintessential sign of goodness. Those who choose to have these leaders as idols have likewise lost the ability to discern between good and evil. It seems to me at this point that Hollywood and the LDS church teach the same damned thing: you are not allowed to criticize anyone, everything must be a positive statement, to progress in the right way we follow what gives us a good feeling, and the ultimate goal in life is self-reliance. That’s pretty much the opposite of what God calls “good”. I grew up and was really good friends with a man who ran for a county office in California when he was 35 and won the election. Six years later, he ran for State Assembly and won that. Four years later he ran for a seat as a US Rep., and won that. He has now served for 12 years. Again, I have known him since we went to Kindergarten together, and talk with him still today at least once every few days. He always had tremendous integrity, is one of the hardest working individuals I have ever seen let alone ever heard of. His judgement was rock solid – and, I think has gotten even better in the last several years. That said, my friend serves in a Congress that is reported to have an 11% approval rating with the people of the USA, and is lumped into that by association (except by the people in his district, who know his work, know his character, and gave him an astounding 78% of the votes cast in the past election). I have read this post regularly over the past three years, and it seems the brethren are talked abut the same way. There are some members of Congress that shouldn’t be there – as well as some current brethren. But, and as it pertains to our church, I firmly believe there are more good ones than bad, and those good ones are working towards what they believe the Lord is inspiring them to do, to forward His objectives and wishes for us. And, they are doing it in one of the most difficult environments in the history of the world (where Satan certainly rages at least as much as anytime in history), as imperfect and continually-growing individual sons of God who gives them the same ability to trial and error as all His children. I am an active member and I enjoy reading your viewpoints. Your article about helping the poor was excellent. I will not ever forsake the gospel because of the spirit I felt on my mission and with particular experiences I’ve had. Your posts overall lately, however, have turned to a very negative viewpoint where you’re only seeing what you perceive as bad and nothing of the good. The tone comes across to me as some of the anti literature that used to circulate in the 80s and 90s. I guess I would rather you stick to gospel viewpoints and how we can better contribute to society as servants and followers of Jesus Christ rather than just picking at what you might find distasteful. Your ability with writing and words can really help a lot of people out but when you go all negative it just comes across as bitterness. My two cents. thanks for your columns though – I do appreciate them. So let me give you my two cents – I am not dissatisfied with things and my family has a very blessed life. I am grateful my oldest child seems to have a testimony and wants to serve a mission (14 year old girl). I would love it if the church took the time and effort to provide more services to the “poor” and destitute. I would love it if it operate non-profit hospitals in the states and worldwide (imagine how many members would gladly donate to such an operation above and beyond their tithes and would support it through). I would love it if they would cease subsidizing BYU tuition for upper middle class and upper class families (to the which I belong) and instead use those funds to actually help poor people. I respect the heck out of evangelical Christians because in spite of the fact that these endeavors are difficult to run, these seem to try. I have a client (an evangelical) who runs a home in SE asia for trafficked girls. I just wish the church would do more of these endeavors rather than just boosting up those who really are capable of doing it themselves. I agree wholeheartedly. I hope more active and faithful like yourself will make your voices heard or be able to ever do something about our church’s lack of focus on the needy if ever in leadership. Schools and hospitals and clean water projects. Why not spend billions on those things? Why not invest in the poor? I’m with you brother. My family and I go to church btw. Kids on missions etc. I sincerely love the church. I just think it’s off the rails in part because no ones really allowed to say how they feel. I hope that changes. I pray for the leaders but I also tell them how I feel. I would take the brethren over the typical corrupt politicians any day, too. Having said that it’s not an apples to apples comparison between the two. We know what most of our elected officials are. We know the are under the influence of the devil and have their hearts set on babylon and the vain things of this world. We don’t hold them up as being called by revelation from God, and we certainly don’t sustain them as prophets, seers, and revelators. In fact we’re not obligated to sustain them in any way, shape, or form beyond keeping the laws according the dictates of our own consciences. This is not the case with the brethren. We are required to sustain them. We are required to fund their building projects and business endeavors with our tithes if wish to stay in good standing in the church. I do believe that for the most part the brethren are doing what they think is right. Then again so did the pharisees in Christ’s day. It’s taken me a long time to admit this to myself, but what the brethren are doing with the Lord’s money and some of their policies and actions is really, really bad. AB, Rock Waterman, and others have documented many of the things the brethren do and have done that are wrong and can’t be justified. What makes it so bad is that these things are packaged in a pretty little box and sold to the members as being God’s will, when in fact it can only be of the devil. Saying that breaks my heart, but it’s the truth. Your comments in this blog are so correct and so valuable. As a Canadian with US family, I found myself truly invested in the electioneering and so relieve HRC did not win. Now as I witness the civil unrest because Trump won, I can see more clearly why the Lord will bring so much devastation to so many, including saints. I’m approaching my second year of worshipping Christ and the gospel rather than the brethren and and the church. Reading scriptures now is so different toward personal insight and revelation than it was ( despite my previous significant study investment as recommended in my Patriarchal blessing). Witnessing the church’s ongoing Babylonian portfolio of investments and priorities has helped me as I make personal decisions about how to support my family. As Waterman has written about giving to the homeless and poor in two countries has opened my heart as well. It was especially meaningful as I resided with my dependent adult son, in a tent, in a daughters basement for months. Her husband is Aboriginal and her family moved out of Cardston and into his family home on the Blood Reserve. The greatest lessons in humility came from water shortages and delivery waits each week, truly removed my bias about untidy Cardston roaming homeless people. Priorities for church leaders with regard to Mosiahs writings came to full fruition a year ago when my Aboriginal son-in-law, approached the stake president seeking good donations for the local homeless shelter. The Sk. Pres. Had been vocalizing how the Lord had directed him personally to be more kind and generous to local Blood Tribe members. Yet, he would not provide any food officially or personally for the homeless shelter. Building the new SLC theatre is such a sad reflection on LDS values. I would be very grateful to learn of the topics of conversation between our General Authorities and Pres. Obama in a quiet hotel meeting room late one evening, before the election. Was it a request that brought abt a Desert News editorial stance for Saints to support HRC, or something else? Lack of transparency and lack of Pres. Monson in the room, give an avid researcher indicators our church must have HRC ( speaking to bankers) a public and a private position on many things. No, I’m not paranoid!!!! Just a retired journalist with executive function capacity that leads to more questions than answers. I found Egg McMuffin’s candidacy for President humorous at best, scary at worst. He paints himself as a “true conservative,” (whatever that means – conservatism doesn’t mean jack anymore and wins even less). His twitter timeline is an endless stream of platitudes and buzzwords designed to appeal to New Statism, the Mighty America! Nation-builder and democracy spreader! The Red White and Blue! ‘Murica! He talks a lot about “Our Democracy!” and “threats to our Democracy!” even though everyone should know the very reason we don’t have a “democracy” is to protect the minority from a tyranny of the majority. Sorry, but anyone who worked as a UN stooge, CIA spook and Goldman Sachs Money Man isn’t a “principled conservative” in my estimation. More alarming, when you look at the political “insiders” who threw their weight and money behind McMuffin, it’s a who’s-who of Neo-Bolsheviks, I mean, “Neo-Conservatives.” If all the Zionists, I mean, “people” who supported George Bush’s Magical Imperialism Tour that destroyed the Middle East are the same people supporting McMuffin, one might consider reevaluating his or her position. So why is the church spending cash money importing fighting-age men and economic migrants, I mean “war-torn refugees,” who don’t believe in Christ, much less serve Him, from 3rd world countries into the Promised Land? We’re expediting our own destruction — our fate is the same fate as the Jaredites and Nephites lest we repent — just as Moroni prophesied in Ether 2 and 3. Bravo Matt! Well said! Here along the Wasatch Front we are completely unable to disagree with the position of the Church on this issue of bringing in these refugees here. Our voice of those who see this is very dangerous is not heard because the papers in the area will not publish any comments. There is no freedom of speech in Church or in the community. So why is the Church doing this stuff. Why is it spending millions on new malls and advertising? D&C 51:10 says: “And let that which belongeth to this people not be taken and given unto that of another Church.” The command is clear that if you donate to the Church it is to be used for the members of the Church and not any other Church like the Catholic Church or any other organization. They Church has in the past given money to the Catholics. This is in direct violation of this commandment. Spending money on advertising is the same thing. Why is it spending money on refugees that contribute very little to the community. In fact, the Book of Mormon says that we are to worship the God of this land or be swept off. In other words, the leaders are breaking the commandments of God by so doing. There is only one word that fits what is going on here and that is apostasy. Others here have said that they will not sustain the leaders. That is good. Others believe that by so doing you can change the organization somehow. I do not believe this Church can be saved. It will take God to do that. When a Church lapses into apostasy as this one has done it cannot be saved. Lucifer takes control and the leaders do his work and not the work of the Lord. That should be clear that this is not the Lord’s Church. Oh they talk a good talk but with close inspection that is not the case. I am from the UK but was recently in Cardston. I liked the place. However the natives, with some exceptions, are accurately described in the Book of Mormon as an idle people. Being an Englishman I am used to walking down a high street in any town without being accosted. One cannot do that in Cardston. The natives are on the scrounge for anything they can get. The Blood reservation is a complete mess, though the chief/elders and their families have nice houses and big cars. Most of the rest beg for money to buy hairspray. I don’t blame the SP for being cautious. Why don’t you encourage your child to serve the poor in place of a church mission? The church keeps pushing the missionary program but when has the Lord commanded that every youth of the church serve in the manner the church demands? Serving the poor is subjective – what is poor to someone here is wealthy to people almost anywhere else in the world so servicing the “poor” in the USA is really serving people who can serve and help themselves for the most part. My wife and I try to give our kids examples they can follow in their own lives – we adopted a terminally ill abandoned child and we continue to donate our time and services to the orphanage and adoption agency that helped facilitate the adoption (lots of fasting and prayer led us to our son and to the mechanism that got him to us). I served in a third world country and I literally spent a minimum of 5-10 hours per week in just plain service. But again, many of the people who were “middle class” in that country would be considered completely impoverished by the standards of everyone here but were well off enough to have food on the table every day along with electricity, running water and indoor sanitation. The other side of the coin here was that I also donated a lot of money (for me at the time) to people who didn’t have anything, including food or places to stay. This was all part of serving a mission and seeking to be more like Jesus Christ. So just plain “giving the poor free stuff” doesn’t necessarily work but I believe in any mission they serve they will see the benefits of living as they Savior would have them live coupled with them being able to witness first hand how they could put their fellow man first. And again, if you don’t want your kids to serve missions there is no requirement to serve a mission to stay an active member. I realize there are cultural pressures but if you honestly feel that’s what’s best then that’s a choice you can make. I usually enjoy your posts, however, I have to “sustain” your blogging in this instance by pointing out there seems to be a spirit of criticism that applies not only to the church leaders, but also to the motives of the president-elect and the refugees the church has encouraged its members to serve. In observing the transition efforts of the president-elect, I have seen evidence of trying to balance not only how to fulfill campaign promises, but also to offer healing and reconciliation to members of both political parties. In fact, recent commentaries indicate that had Mitt Romney been willing to publicly apologize for his public attacks, it would have mitigated some of the animosity of other members of the Trump team that led them to publicly oppose his selection, which may have been enough to derail his appointment. 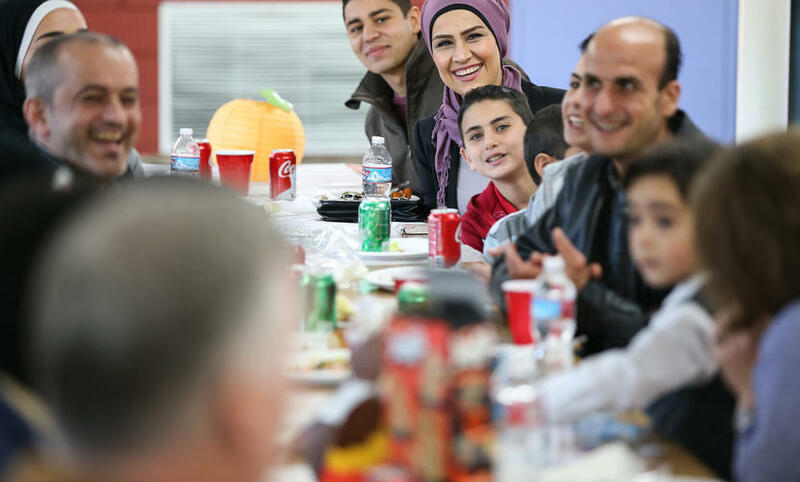 In the case of Syrian refugees, I think the efforts of the church to encourage members to look outside their own circles, not because the church started a new program, but simply because we are Christian was one of the best things I have seen from SLC in a long time. It was an answer to prayer for many charities who were already tackling the humanitarian crisis both domestically and in foreign countries whose resources were hugely insufficient for the needs they were addressing. Please do not attribute the actions of individuals to larger groups who are innocent other than having some apparent religious or ethnic affiliation. Doing so tells more about you than the people you are disparaging. Ranae, I understand your feelings for wanting to help these refugees. But I have to take issue with you and the Church on this issue. The Book of Mormon (Ether 2:8) says that the people of this continent are to worship the God of this land or be swept off. That God is Jesus Christ. The Muslims do not worship Christ and they do not assimilate into the western culture. There is plenty of examples of this and now we are seeing the fruits of this action of bringing them here by the numerous terrorists attacks on our citizens. I can understand your great concern for them however but bringing them here is not the solution. “the Lord hath covenanted this land unto me, and to my children forever, and also all those who should be led out of other countries by the hand of the Lord. Wherefore, I Lehi, prophesy according to the Spirit which is in me, that there shall none come into this land save they shall be brought by the hand of the Lord. Wherefore, this land is consecrated unto him whom he shall bring….” (2 Ne. 5-7). The promise of this land which you referred to is that we cannot be harmed if we keep the covenant to serve (not worship) Jesus Christ, the God of this land. (that’s paraphrasing) There is a huge difference between serving Christ and “western culture”. While I agree that our nation may be ripe for destruction, it is not because we are providing shelter to a tiny fraction of people who have been driven from their homes. I believe that providing aid to refugees either here or abroad is one way we can demonstrate that we can qualify as “sheep” instead of “goats” in our service to Christ. (“Inasmuch as ye have done it unto one of the least of these, my brethren, ye have done it unto me.”) I believe that we are being given a chance to show whether or not we can look beyond surface differences of religion and ethnicity to see the humanity of some of God’s other children. If you want to see an example of what can or is being done to help refugees, check out http://www.liftinghandsinternational.org/blog/ to see the kind of help a former BYU student is asking for to assist refugees (most of whom are not in this country). My concern for Arab attacks on America began when we violated the terms of justifiable war by sending troops into Iraq under Pres. Bush. According to the Book of Mormon, after that, it was just a matter of time before we would lose the protection we had previously enjoyed. Recognizing that, is accepting our own responsibility for whatever the Lord decides to inflict on us as a nation. Unless we accept our part, we cannot repent and plead for God to turn the punishment from us. I don’t see any reason why people who are fleeing from a situation we would never want to be in should be denied aid, just because we no longer qualify for the safety we might have previously taken for granted. Our safety has always depended on God’s blessings upon our nation, not on refusing aid to minority groups. My hope is that if my family is ever in the position of fleeing for our safety, God will show unto us whatever degree of mercy we have shown to others in distress. Just as a little background, my son is on his way home right now from spending 4 months in Jordan. He has been the recipient of generous hospitality both there and from the Muslim students who helped tutor him in Arabic for the last several years. His hope is to be a bridge-builder between cultures. These are children of Abraham we are talking about. Would you apply your same argument against immigration of non-Christians if these were Jewish refugees rather than Arab ones? I stand by what I said. There is a vast difference between someone who is of the House of Israel and some who is not. The values of this country are Judaeo-Christian, not Muslim. There are plenty of Scriptures in the BOM (2 Nephi 29 for example) – that tell us that we are to recover and protect the Jews. There are scriptures that tell us that nations that fight against Israel will bring about their destruction. The Lord has told us in Obadiah 18 that He is going to destroy the House of Esau. And reason for the destruction is because of the hatred of them for the Jews. Esau and Jacob are supposed to be brothers yet Esau hates his brother. There is plenty of propaganda by the world press to prop up the Palestinians for example at the expense of the Jews. This is off the subject however because I support the Jews completely in every respect. I do not believe that Muslims should be brought here and I don’t believe your scripture that you quoted require it. Other scriptures which I have quoted in fact demand that we do not. The few that are brought here have caused harm. Today an attack occurred in Berlin by a truck running into a crowd. Nine people murdered and 50 injured. The press of course is reluctant to say that it was terrorism yet it is clear to me what it is. That is the kind of thing that we are bringing on us here. That’s my opinion and I also believe that many millions of Americans believe as I do or they would not have elected someone who wants to do something about this and stop this utter madness. It is clear to me that your interpretation of D&C 51:10 is inaccurate. It is clearly referring to branches of the church in the context of the law of consecration and not the Catholics et al. Read verse 11 (and in fact the whole section) and it becomes clear. I have reviewed 2 Nephi 29 and I am not seeing what you describe in that chapter. Verse 5 condemns the Gentiles’ attitude toward the Jews in these words: “ye have cursed them, and have hated them, and have not sought to recover them”. What do you think this recovery is? I think it has to do with turning their hearts toward the true gospel of Christ by letting the light of Christlike love shine through our example. I don’t see us making much effort to recover the Jews spiritually at this time. There is nothing here that indicates we can disparage the sacred books of other religions as being not from God, when this chapter tells us He speaks to all nations and commands them to write it. They and we will be judged according to the things that are written. If some Muslims are guilty of killing innocent people (as are Jews and Gentiles and Christians and members of probably every religious group), they will be judged by the word of God they have been given, just as we will. That does not make all Muslims guilty by association. In addition, there has been so much intermingling of people since these prophecies were given, it would be hard to say definitely that there is no blood of the house of Israel in people living in the Middle East (or anywhere else). The final warning comes in verse 14: “And it shall come to pass that my people, which are of the house of Israel, shall be gathered home unto the lands of their possessions; and my word also shall be gathered in one. And I will show unto them that fight against my word and against my people, who are of the house of Israel, that I am God, and that I covenanted with Abraham that I would remember his seed forever.” I would be very careful before thinking any group of people, especially those who are currently dealing with the horrors of war, trauma, religious discrimination and persecution are exempt from this promise to the seed of Abraham. I agree that the death of innocent shoppers is wrong. It is wrong no matter who commits it, or what their reasons might be. Labeling some crimes as terror doesn’t make them any worse or give us any reason to seek revenge against people who didn’t commit them. Withholding aid from people in need when it is in our power to give it is condemned strongly in our standard works (Mosiah 4 for example). Just a few thoughts. In reference to the destruction of Edom (the descendants of Esau). That is not the same people as Arabs. The Edomites were in the area of Jordan where Petra is located. They are no longer there, and that prophecy of destruction might be long past. To use it to foreshadow the destruction of another group of people, you would need to identify which attributes of Edom represent a different group of people who will be destroyed. The political difficulties of the nation of Israel are not easily captured by liberal or conservative media. Most people who have strong opinions on the topic have not studied the problem from a variety of perspectives. There is not consensus even among Israelis about what to do, let alone the Palestinians who also fall along a range of opinions. For me, the safest position is to recognize all parties as children of God and refuse to judge something I have neither expertise nor resolution for. That’s the party line but It doesn’t say branches in this revelation. Can you show me a revelation saying that it is okay to give money to other Churches. I’ll quote the revelation and comment about what the Church is doing. Please comment if you will on these organizations that the Church is giving money to. I disagree with every one of them. In early 1831 the Lord commanded Joseph Smith to discontinue revising the Bible and instead concentrate on gathering the Saints to one location which was in Kirtland, Ohio. The Saints from the Coleville Branch in New York began arriving as a body and were ill prepared, having given up much in their move. In the following Revelation, the Lord reveals how he wants these Saints and other members “in good standing” to be provided for. The interesting part of this Revelation is His command to not give aid, provisions or money to those members not in good standing, and He also forbids giving to or helping “other churches”, without reimbursement from same. Today, the Church gives untold MILLIONS of dollars to other churches, religions and governments including the Palestinians and Hamas. Revelation through Joseph Smith, Thompson, Ohio, May 1831. History of the Church1:173-74. 8 And the money which is left unto this people—let there be an agent appointed unto this people, to take the money to provide food and raiment, according to the wants of this people. 12 And this shall be done through the bishop or the agent, which shall be appointed by the voice of the church. D & C. 51:5-12.
and poor in the Middle East every year since 2002, according to the Washington-based charity’s annual reports. You found what I was referring to – the part about recovering the Jews. There are other scriptures that I could quote about this as well. There is nothing in the scriptures about recovering the Muslims. Nothing at all. The question is whether we have an obligation to help the Muslims and the answer is no we do not. We on this continent as I pointed our are to worship the God of this land who is Jesus Christ or be swept off Ether 2:8. The Jews worship Jehovah who is Jesus Christ. They just don’t know it yet and they are of the House of Israel whereas the Muslims are not. I don’t see your point. The idea that all the races are all mixed is not found in the scriptures. We have or used to have inspired patriarchs that would declare lineage whether they be Jews, Ephraim, or whatever. The Muslims simply do not fit in. They are not of the blood of Israel period. They are related and identifiable however as Obadiah points out. They all will be destroyed in the end as I quoted to you from Obadiah 18 because Esau hates Jacob. This is one of the reason for the terrorists around the world because of their support of Israel who they hate. Now there are terrorists attacks from this religion all over the world. This is insanity to invite them here. The Church is doing a great disservice to it’s members by doing this. They are far off track from what is revealed in the scriptures as to their mission. That is because the Church today is in a state of complete apostasy and no longer has any divine guidance nor priesthood. This was not the reason for the restoration to gather all nations of the earth into this place. Particularly those who do not worship Christ. The restoration was to gather Ephraim not a bunch of people who want to conqueror and destroy us. All countries who have a majority of Muslims experience great I mean GREAT persecution of their Christian population. That’s a fact!!!! You need to go back and educate yourself as to what the real intent of these people are. It isn’t peaceful by any means. And there are plenty of examples to show that this is the case. There have been polls taken that show that many thousands of Muslims are intent on destroying Christians. You don’t seem to understand this by saying it is only a few are guilty just as Christians are guilty. That is complete and utter nonsense and you should know better. Please – go and educate yourself as to their real intent. That is far far from the truth. It isn’t what you think it is. You’ve been deceived by the Church and by these non-Christians. This is complete insanity to bring them here and I don’t understand your not understanding these scriptures that I quoted because it is quite clear. Can’t see anything wrong with any of this. Would you rather the money stayed in the bank? Or we built another shopping mall with it? In the D&C branches are frequently refered to as churches (just as in the NT), so your positionon this, like your position on quite a lot of things, is completely unsustainable. Besides, I assume you don’t pay tithing to the LDS Church, so why do you care? So you can’t see anything wrong with donating money to LGBT group? You can’t see that giving to the Muslim brotherhood is wrong? The Muslims are intent on not only destroying Israel but all of Christianity and you tell me this is okay with you? This is nothing short of apostasy. Well RH I don’t agree with this and I do not have any rights in the Church to vote against this. My only recourse is not to pay them any donation at all in hopes that they will stop this madness and start doing what is right. They won’t of course and I won’t pay either because of this apostasy. They are not following the commandment of God not to give the money that is to be dedicated to the poor of the Church to people outside of the Church. You are completely mistaken in your interpretation and the list of donations proves that this is wrong. All I’m doing is pointing out the apostasy of the Church just as Anonymous Bishop is doing. The members have been disenfranchised from the Church completely. So why do I care? Because many good people such as yourself have been deceived are are being led down to hell as it says in 2 Nephi 28. The scriptures describe the apostasy in the last days completely. I like 2 Nephi 28 because it really lays it all out and tells what is going to happen to the members and leaders. vs 13 They rob the poor because of their fine sanctuaries; they rob the poor because of their fine clothing; and they persecute the meek and the poor in heart, because in their pride they are puffed up. vs 20 for behold, at that day shall he rage in the hearts of the children of men, and stir them up to against that which is good. vs 21 and others will he pacify, and lull them away into carnal security, that they will say: all is well in Zion, yea, Zion prospereth, all is well and thus the devil cheateth their souls, and leadeth them away carefully down to hell. Ranae, The prophesy in Obadiah is still future and Esau are the Arabs and Palastinians. They are identifiable today. Jacob who are the Jews and Joseph who are Ephraim at some point will destroy ALL of Esau. This is still future because this has not happened yet. It is a prophecy of the future. But regardless what my point is you don’t want to judge these people but the Lord has. They are a great danger to our people and must be prevented from coming here. Europe is on fire right now and so it should be completely clear that this is wrong. These peoples are also mentioned in Amos 1:11:15 and 2:1-3. Amos pronounces three oracles against these peoples. The ancient kingdom of Edom existed long before the Israelites left Egypt. The Edomites are the people of Esau (Gen 36) and the people most closely related to Israel. Edom no longer exists as a kingdom but the people of Esau still live. They are the Arabs of the Middle East. When the Lord refers to the last-days Edomites, he generally calls them Esau so we know about whom he is talking. Look at Amos 1:11 is very good because this tells us why the Lord is going to punish them. The Lord says that they “pursue his brother with the sword” it says. Edom are the Arabs and they are intent on murdering the Jews. Jacob is Esau’s brother and because of this great hatred for the Jews the Lord is going to destroy them to a man. The punishment of them was pronounced 2,500 years ago Ranae. Our ancestor Charlemagne stopped the Muslims from taking over Europe in the 8th century. They would have destroyed Christianity if that were allowed to happen. They are bent on that right now. Yes I’m sure there are a few that won’t but the religion is not Christian and in fact is anti-Christ. There are plenty of examples of their atrocities against Christians that I could mention. You would do better to turn your attention to your own people and lift their suffering instead of running after a bunch of people who the Lord does not want here (Ether 2:8). The Lord has already judged them. These people should be left in their homeland and not brought here to the mountains of Ephraim. Beware of judging by external circumstances, such as religion, country of origin, or ethnicity. God’s thoughts are not our thoughts, His ways are not our ways. Arabs are the descendants of Ishmael (the son of Abraham), not Esau (the son of Isaac, brother of Jacob). The verses you cited from Amos 2 are related to the people of Moab (the son of Lot’s older daughter) being punished for burning the bones of the king of Edom (who again are the descendants of Esau). If you continue reading the next few verses, you will also read about the punishments proclaimed on Judah and Israel for their sins as well. I am sure these facts will not change your opinion about either Muslims (many of whom are not Arab) or Arabs (some of whom are not Muslim – there are Christian Arabs living in Israel and other places), but it might clarify the subject for others who might read this. The promise of God concerning Ishmael to Abraham is: “I have blessed him, and will make him fruitful, and will multiply him exceedingly; twelve princes shall he beget, and I will make him a great nation.” (Gen. 17:20). Ishmael and Isaac were not sworn enemies. They came together at the time of Abraham’s death for his burial. I do not know of any scriptures that curse Ishmael or his seed. With this history, it is not surprising that God would send a messenger to reclaim them from idolatry and sin, just as he has to other groups of people. As for their worship of Jesus Christ, you are correct. Their religion forbids putting anything equal to God, including Jesus (whom they respect as a great prophet with a divine mission from God), but Christ never told anyone to worship him either. He always diverted all worship and glory to the Father. You are also correct that I have no obligation to help refugees, apart from a desire to do so. I have responded to this thread in an effort to correct some false ideas on behalf of people who have no voice here to defend themselves. I have heard many people online and in direct personal conversations express extreme fear based on very lopsided propaganda. My ideas did not come from the church, or from non-Christians (as you have stated), but from direct experience through travel, study, and a desire to love others as a follower of Christ. I know this comment thread is off topic from the original post, and I appreciate Anonymous Bishop for allowing it to continue for this reason alone. The “LGBT group” which received the donation from the church was an organisation which helps homeless young people. Not all of them are LGBT. A lot of young gay people are thrown out of their family homes and find themselves living on the streets. While this may very well be their fault (family arguments etc), it doesn’t alter the fact that they are now homeless. We have to start where we are now. Therefore, it’s a good idea to get young homeless people off the streets. This is why the cburch helped. I agree with a few things you’ve said actually. But the point is God has no covenant with these people. I’ve quoted many times Ether 2:8 which you continue to ignore. The propaganda that you cite falls on deaf ears though because it is clear that this isn’t propaganda when Europe is now on fire from all the terrorists attacks. Go to Youtube and other places and learn for yourself the disaster that has happened there. I could site many examples of the atrocities these people have brought to these countries of my ancient homeland. I don’t want that same disasters and atrocities brought here. I fear that because of the many that have already been brought in by our corrupt government that we are going to suffer greatly because of it. Yes Israel including the Jews and Ephraim and the 10 tribes were cursed and scattered. HOWEVER, in the last days they will all be gathered and I could site a number of scriptures about the gather of the entire House of Israel to you. Why not try to recover them instead of those who are not of the tribes of Israel? This is Not the case with the Muslims. They will not be gathered but destroyed. Yes there are two groups – those that descend from Ishmael and those who descend from Esau. They have intermixed as you’ve said. For the most part the Arabs are Muslim who comprise Ishmael and Esau. In the last days Esau will be destroyed. The Lord will do the destroying and He’ll be able to tell who goes. During the Millennium there will be no Muslims on earth because they do not worship Christ. The Terrestrial order during the Millennium will prevail and all will worship Christ. That means the Muslims will all be destroyed along with all non-Christian religions. So why uphold and support these nonChristians. It doesn’t make any sense to me. Again, why not work to relieve the suffering of your own people than running after a people that do not worship Christ and are in fact bent on destroying Christianity? Doesn’t make any sense to me at all. And yes I can judge them because because it is written in the scriptures that God has judged them and has told us not to bring them here. The Jews have not intermixed with them however. The Jews are made up of two groups – the Ashkenazi and Saphardic. But that is beside the point. On Friday the UN voted to condemn Israeli (the Jews) settlements. God gave all of that land to Israel and now the UN security council is going against the commandments of God to recover the Jews. The Jews have been commanded to gather in Jerusalem in the last days and that is their homeland. A prominent rabbi recently observed that whenever the US or other nations try to destroy Israel a natural disaster follows. We’ll see if this happens shortly because of this resolution. God punishes nations for trying to destroy Israel. The reason the House of Israel was scattered throughout the earth is because of their disobedience to God. God did indeed curse Israel with being scattered but the gathering has begun first with Ephraim. You should not disobey God Ranae when He tells you something as He has done in Ether 2. It seems that you don’t understand what the Lord is doing in the last days. The Church has strayed a long ways from what was intended. This is a great part of the apostasy and Anonymous Bishop has done a pretty good job of documenting that apostasy. The Church in the last days was to gather Ephraim first. That is why they sent missionaries to Europe and other places where Ephraim was scattered. That was it’s only purpose because as you pointed out “Mine elect hear my voice and harden not their hearts.” This is Ephraim and not these other nations. Ephraim heard the drumbeat of the gospel and came into the Church. But because of apostasy gospel has been watered down now so it make it acceptable to the rest of the world. The fullness of the gospel is not intended for the entire world because they don’t accept it when it is preached in its purity. That isn’t the case now and many non-Israelites are entering the Church. The Church is not keeping the commandments of God by supporting these non-Israelite groups and they do a great disservice to the members and actually put them in danger. There is no covenant between God and the Muslims/Ishmael/Esau to recover them. I’ve quoted Amos that says they will be destroyed. I’ve quoted Ether 2 where it says they are NOT to be brought here to this the promised land. Those are the scriptures on the subject. If you want to go against what God has taught us then go ahead. You will reap what yo sow however just as Europe is now reaping great persecution and terrorism. As I said – this is insanity and I hope others here that might read these things understand the grave danger we are in by bringing these people here who don’t belong. Even though you won’t believe in what God has taught I hope others will and stand against this insanity. God has judged them already and told us not to bring them here. I’m just quoting what God has said which is good enough for me. Thanks Ranae – I think the debate is over. The scriptures in my opinion should be followed far more than your feelings for these people. Leave them in the Middle East where the are supposed to be living and let God judge them at a later day. This in nothing short of Apostasy. This is against the commandments of God in every way. The same is true of the Muslim groups. The Church has no business upholding these people because they are antiChristian and AntiChrist. They are bent on destroying Christianity and Israel. Yesterday a resolution was passed in the UN making the settlements of the west bank illegal. You okay with that to? The Muslims certainly are because they are all for destroying Israel. The Muslims are intent on destroying Israel because of their hatred for them. This is prophesied in Amos 1:11. They will all be destroyed in the end. So why is the Church supporting these groups when there is plenty of suffering of the members throughout the world. This is insanity and against the commandments of God. I’m sorry that you can’t see that. Anybody with any degree of morality can see that this is wrong. The Church is in apostasy and that is very easy to see. Why are you so blind?